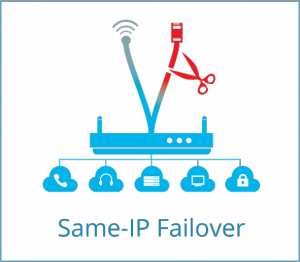 A Failover IP/subnet is an additional IP/subnet that can be switched from one server to another. It can be ordered for any Hetzner dedicated server, and switched to any other Hetzner dedicated server, regardless of location. Switching a failover IP/subnet takes just a few seconds, and can be done via the Robot webinterface.